Soundgarden have announced the first series of dates for a spring tour of North America. Following three festival appearances in Florida in late April, the Seattle band will begin their US headlining run at the Fox Theatre in Atlanta, GA on May 3; they’ll be joined by The Pretty Reckless and The Dillinger Escape Plan on select dates. 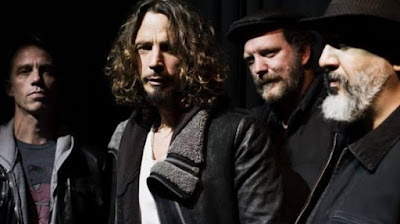 A special ticket pre-sale for fans who are signed up to soundgardenworld.com and chriscornell.com will launch February 28 at 10 AM local time, with general public seats going on sale March 3 at 10 AM, local time. Ahead of the trek, Soundgarden will release of an expanded reissue of their 1988 debut album, “Ultramega OK", on March 10. Last year, the group acquired the original multi-track tapes to the project and connected with engineer Jack Endino to create a fresh mix of the debut. The expanded reissue also includes the newly-created “Ultramega OK EP”, which presents newly-remixed, early versions of six songs that would make the final set; these were originally recorded in 1987 by Endino and Chris Hanzsek at Seattle's Reciprocal Recording. The “Ultramega OK” reissue will be available on CD, 2LP, download and cassette. Soundgarden have been working on the follow-up to 2012’s “King Animal” with plans to release a new album this year.